Robert Seaver (1702-1752) is #256 on my Ahnentafel List, my 6th great-grandfather, who married #257 Eunice Rayment (1703-1772) in 1726, in Boston, Massachusetts. * their son, #128 Norman Seaver (1734-1787) who married #129 Sarah Read (1736-1809) in 1755. "Robard Severs" was born 29 October 1702 in Sudbury, Massachusetts to Joseph and Mary (Read) "Severs," their oldest child. He married on 2 September 1726 in Boston, Massachusetts to Eunice Rayment of Marblehead. They had eight children, but only four were recorded in town record books in Framingham and Sudbury, Massachusetts..
"(IV) Robert, son of Joseph Seaver, was born in 1703, died probably in early 1752. He and his two oldest sons enlisted in the first Louisburg expedition and were at the surrender of the fortress, June 28, 1745. In October 1748, his house in Sudbury was burned, and he appealed for help from the colonial legislature. Soon after this he moved to Narragansett No. 2, settling upon right lot No. 70 in the southeast part of the town. This land he bought of Josiah Brown of Sudbury on November 20, 1750. In the spring of 1751 he had 'a frame of a house, 3 acres of land fenced, 2 cleared and 1 broken up ready for planting.' In 1755 his widow sold his land to Luke Brown, but she continued to live in Westminster until her death in 1773 or 1774. He married, September 2, 1726, Eunice Norman, of Boston, daughter of Captain Norman, whose ship was wrecked outside of Boston Harbor, on the rocky ledge since known as Norman's Woe. Children: Joseph, born in Sudbury, June 10, 1727; Benjamin, born in Framingham, October 8, 1728; Thankful, Framingham, October 6, 1731; Norman, mentioned below; Hannah; Samuel, born in Sudbury, April 8, 1747." Robert Sever and his two oldest sons were in Captain Ephraim Baker's company of Sir William Pepperell's regiment at the taking of the fortress at Louisbourg on Cape Breton Island on 28 June 1745 during the French and Indian War. Either Joseph or Benjamin were killed there (it is not clear which, since there are no records for either of them after 1745). Robert Sever of Framingham, yeoman, bought land in Framingham for 500 pounds in bills of credit from Thomas Frost of Framingham on 19 January 1737. The land comprised 100 acres of upland and pasture in Framingham. The land was bounded northwesterly by land of Hezekiah Stone, northerly by land of Thomas Frost and Nathaniel Gibbs, easterly by Ebenezer and James Boutal, and southerly by Christopher Nixson. Robert Sever, bricklayer of Framingham, and his wife Eunice, sold 100 acres of land in Framingham for 75 pounds in bills of credit to the Manufactory Company headed by Robert Auchmuty of Roxbury on 9 September 1740. Robert Sever became a partner in the company as a condition of the sale. The land was the parcel bought from Thomas Frost. Robert Sever of Framingham, husbandman, received 5 acres of land in Sudbury from his father, Joseph Sever, yeoman of Framingham, for many good causes and considerations, and especially in fatherly love and affection, on 20 October 1740. The land was meadowland near West Brook, bounded by the brook, land of Joseph Parmenter, Paul Brintnal, and Elisha How, and was valued at 150 pounds in bills of credit. On 20 January 1741, Robert Sever of Framingham sold 4 acres of land in Sudbury to Isaac Gibbs of Sudbury for 140 pounds in currant money. The land was meadowland bounded by lands of Elisha How and Paul Brintnall 29 May 1741. Robert Sever, husbandman of Sudbury, sold land in Sudbury to Isaac Read, yeoman of Sudbury, for 120 pounds on 19 April 1742. The land was on the west side of the Sudbury River and contained 4 and a quarter acres of meadow, bounded easterly by Elisha How, northerly by Paul Brintnal, westerly by Nathan Goodenow and Josiah Richardson, and southerly by a brook. Robert Sever, bricklayer of Framingham, sold 100 acres of land in Framingham to Robert Montgomery for 570 pounds of old tenor bills on 13 March 1746/7. The land and meadows contained a dwelling house and was bounded by land of Belcher, Frost, and Stratton. The deed was also signed by Eunice Sever. "My house was burned and consumed all the little substance I had in the world, it being in movables and bonds and bills of credit, and amongst the money your petitioner lost was one 8 pd one 3 pd and one 3 pc and one 4 pd all of this Province old Tenor." He stated the fact that he and his sons were at the taking of Louisbourg, "and that one of them is there still." The court granted him 3 pounds 15 shillings in respect of his service. Robert Seaver moved his family to Narragansett No. 2 (which was part of the lands assigned to soldiers of the Indian Wars), which was later called Westminster. He settled on Lot 70 located in the southeast part of town on the highland nearly a mile northeast of the outlet to Wachusett Lake, having purchased the lot from Josiah Brown of Sudbury on 20 November 1750 for 60 pounds. In the spring of 1751, he had a frame house, three acres of land fenced, two acres cleared and one acre broken for planting. The debts apparently exceeded the value of the personal effects that could be sold, so Eunice sold the property to pay off the residual debts. The 60 acres of land in Lot 70 were sold in two lots to Luke Brown of Worcester for 20 pounds and to Ezra Taylor on 7 April 1755 for a total of 54 pounds, 8 shillings, 10 pence. 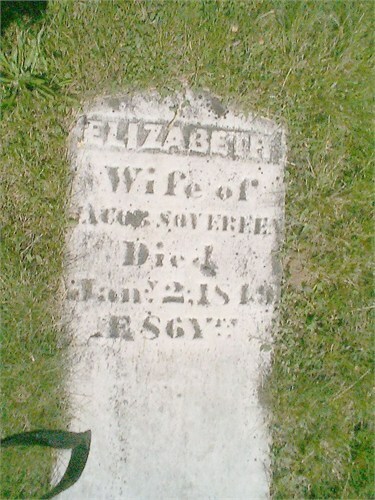 Eunice Seaver's account was allowed on 21 August 1755. 1. William Richard Cutter (compiler), New England Families, Genealogical and Memorial, Volume 1 (New York City : Lewis Historical Publishing Company, 1913), page 221, Robert Seaver sketch. 2. "Massachusetts, Land Records, 1620-1986," digital images, Church of Jesus Christ of Latter-Day Saints, FamilySearch (https://familysearch.org :, accessed 25 May 2017), Middlesex County, Volume 42, page 26, Thomas Frost to Robert Seaver, recorded 16 September 1740; also on FHL Microfilm 0,554,023. 3. "Massachusetts, Land Records, 1620-1986," digital images, FamilySearch, accessed 25 May 2017, Middlesex County, Volume 42, page 79, Robert Seaver to Manufactory Company, recorded 26 October 1740; also on FHL Microfilm 0,554,023. 4. Alfred Sereno Hudson, The History of Sudbury, Massachusetts, 1638-1889 (Boston, Mass. : Town of Sudbury, 1889), page 210, Robert Seaver's military service. 5. "Massachusetts, Land Records, 1620-1986," digital images, FamilySearch, accessed 25 May 2017, Worcester County, Volume 35, page 342, Josiah Brown to Robert Seaver to Robert Montgomery, recorded 17 March 1746/7; also on FHL Microfilm 0,843,173. 6. Vital Records of Sudbury, Massachusetts to the year 1850 (Boston, Mass. : New England Historic Genealogical Society, 1903), Births, page 130, Robard Severs entry, son of Joseph and Mary. 7. "Massachusetts, Land Records, 1620-1986," digital images, FamilySearch, accessed 25 May 2017, Middlesex County, Volume 42, page 27, Joseph Sever to Robert Sever, recorded 29 October 1740; also on FHL Microfilm 0,554,023. 8. "Massachusetts, Land Records, 1620-1986," digital images, FamilySearch, accessed 25 May 2017, Middlesex County, Volume 42, page 500, Robert Sever to Isaac Gibbs, recorded 29 May 1741; also on FHL Microfilm 0,554,023. 9. "Massachusetts, Land Records, 1620-1986," digital images, FamilySearch, accessed 25 May 2017, Middlesex County, Volume 45, page 59, Robert Sever to Isaac Read, recorded 25 February 1744; also on FHL Microfilm 0,554,025. 10. "Massachusetts, Land Records, 1620-1986," digital images, FamilySearch, accessed 25 May 2017, Middlesex County, Volume 46, page 169, Robert Sever to Robert Montgomery, recorded 17 March 1746/7; also on FHL Microfilm 0,554,025. 11. Alfred Sereno Hudson, The History of Sudbury, Massachusetts, 1638-1889 (Boston, Mass. : Town of Sudbury, 1889), pages 219-220, Robert Sever's petition. 12. "Worcester County, MA: Probate File Papers, 1731-1881," digital images, New England Historic Genealogical Society, American Ancestors (http://www.americanancestors.org), Probate Packet 52,920, Robert Sever. 13. "Massachusetts, Land Records, 1620-1986," digital images, FamilySearch, accessed 25 May 2017), Worcester County, Volume 36, page 270 and 281, Robert Seaver estate to Luke Brown and Ezra Taylor, recorded 7 April 1755; also on FHL Microfilm 0,843,173. 14. Massachusetts, Town and Vital Records, 1620-1988, digital images, Ancestry.com (http://www.ancestry.com), Boston, "Marriage Publications, 1713-1728, Vol. 2," page 252 (image 128 of 151), Robert Sever and Eunice Rayment entry. 15. Massachusetts, Town Records, 1620-1988, digital images, Ancestry.com, Boston, "Births, Marriages and Deaths" page 259 (image 2073 of 60705), Robert Sever and Eunice Rayment entry. 16. William Sweetzer Heywood, History of Westminster, Massachusetts: (first named Narragansett no. 2) from the date of the original grant of the township to the present time, 1728-1893 ; with a biographic -genealogical register of its principal families (Lowell, Mass. : Vox Populi Press, 1893), page 88, Robert Sever entry. NOTE: This completes the list of 5th great-grandparents. I will start on the 6th great-grandparents next week. This generation may take two years or more to complete.